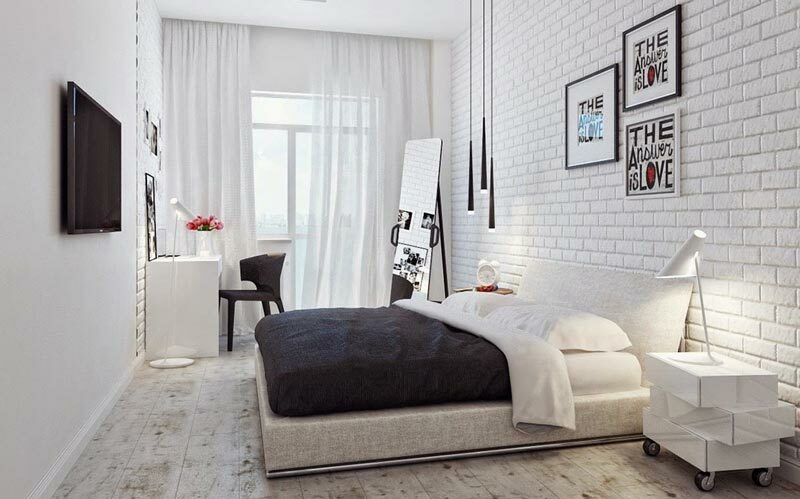 Does the size of your bedroom have you wondering how to decorate, organize and maximizing it? Check out these 10 tips to bring relaxing, big space ideas back into your small sanctuary. The more items you have in your bedroom the more cramped it will feel. Look around the room; can you see the floor baseboard? If you scan your entire bedroom and never see the floor baseboard, you have too much furniture and personal belongings. Consider using furniture in another room of your house or selling it. Remove large collections of personal belongings from dressers, night tables, and entertainment centers. When you enter the room, you want your eye to gracefully scan the room. This will create the illusion of space, instantly. Shopping for furniture can be a challenge when you don’t know exactly what you’re looking for. 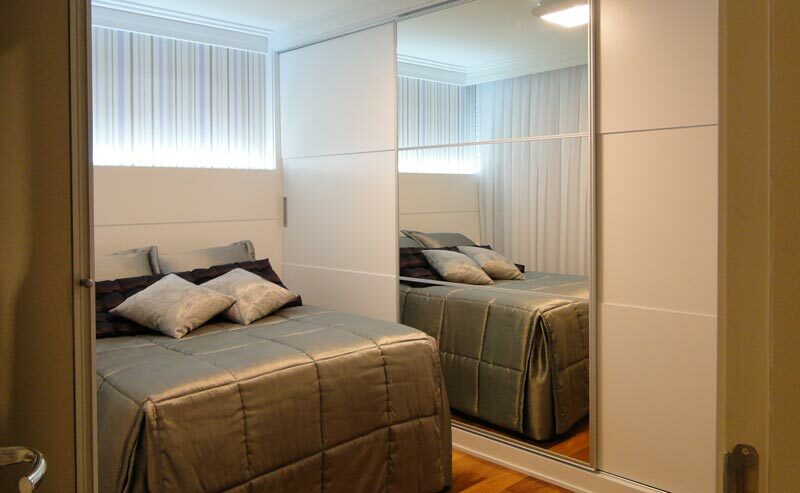 In small bedrooms measure out the amount of wall space you have, and how much room the furniture can project from the walls. Opt for rectilinear furniture as opposed to curved. Curved furniture tends to take up more space and will swallow up your walking area to get past your furniture. Wall hung night stands are a great option to maximize the floor footprint in your bedroom as well. Depending on the size of your bedroom, your bed will most likely be the focal point. If you have a large bed in a small room, you will instantly feel cramped and uncomfortable. Consider having a smaller bed, and size your table lamps and decorations in the same proportions. 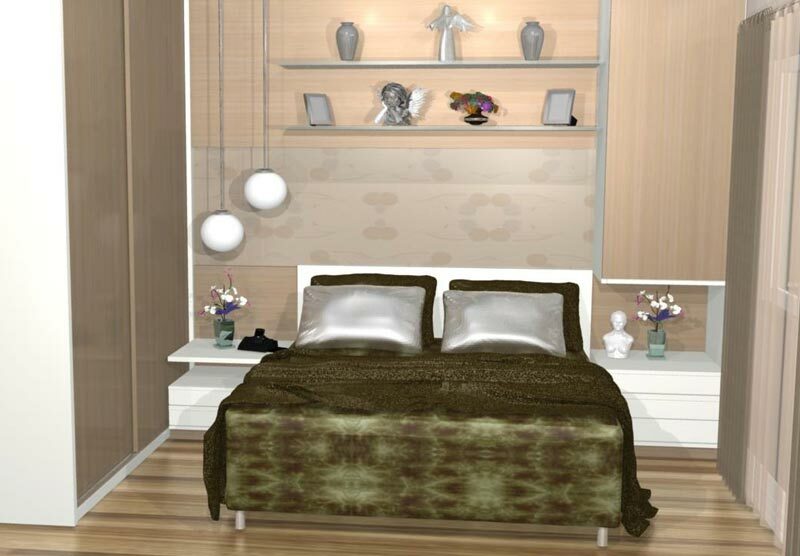 If you are going through the effort and scaling down the bed, so should the accessories that surround the room. In recent years, tray ceilings in bedrooms have become more popular. They add a fifth dimension to the room that is often overlooked. If you have the option of adding this into your bedroom, go ahead and see how much volume you will open up. If you will remain with a standard ceiling, consider using a lighter color to fool the eye into the illusion of space. The darker the ceiling, the more closed in the room will feel, and vice versa. A misconception about having a small bedroom is that you can only sleep, change clothes and leave out the room. This is not true. Put a small chair and lamp in your bedroom, and you instantly have a reading nook. 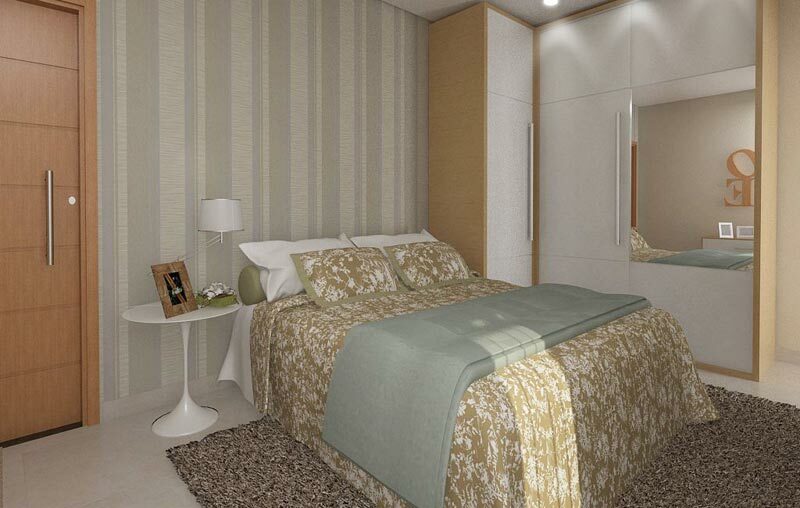 When you can have multifunctional areas in your small bedroom you will want to spend more time in the space. Add a sconce to either side of the bed to make reading in bed more enjoyable and relaxing. One of the quickest ways to make your room feel small is to have furniture pieces that are too large for the space. Choose 2 or 3 mandatory pieces of furniture and scale appropriately to the room. Think of using a armoire to hold clothes and a television to eliminate a large dresser and entertainment center. The more functions you can condense, the larger your room will feel. To help keep your bedroom clutter free, use decorative baskets in a bookshelf or wall unit to keep house small items that don’t need to be seen. Do your children leave small toys around your room? Stash them in roll out under bed storage bins that are easily accessible for them and you! Use your imagination when it comes to storage. 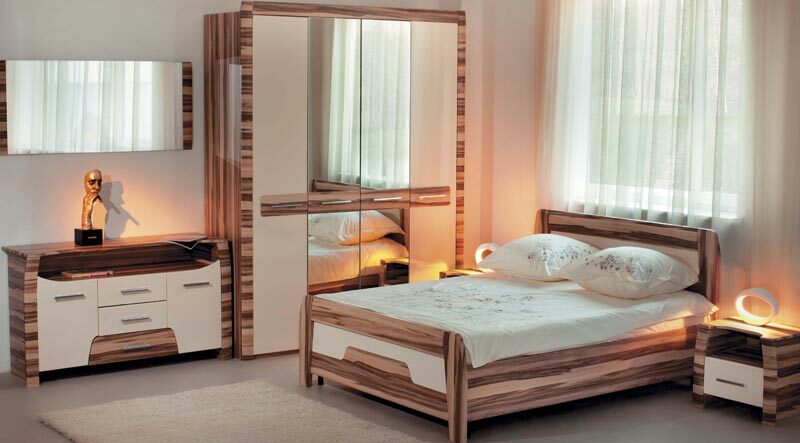 A small bedroom could benefit from multifunction pieces. If you have room for a furniture bench at the foot of your bed, opt for one with a flip open seat that can hold magazines, and books. 8.) To have or not to have a television? Having a TV in your bedroom is based on personal preference. If you decide to have a TV consider a flat screen type that can be mounted on the wall, or will take up minimal space on a dresser. For those that choose not to have a TV – a stereo can also take up considerable space. Opt for using MP3 stereos that connect to your MP3 and eliminates large, clunky stereo units. Dark colors in an already small room can make your bedroom feel like a cave. If you like dark colors, use them in accessories like throw pillows, area rugs, and accents in drapery and bed linen. Consider using lighter colors on the walls, and ceiling to open up the space visually. Bring in natural light as much as possible to illuminate the space and your mood. 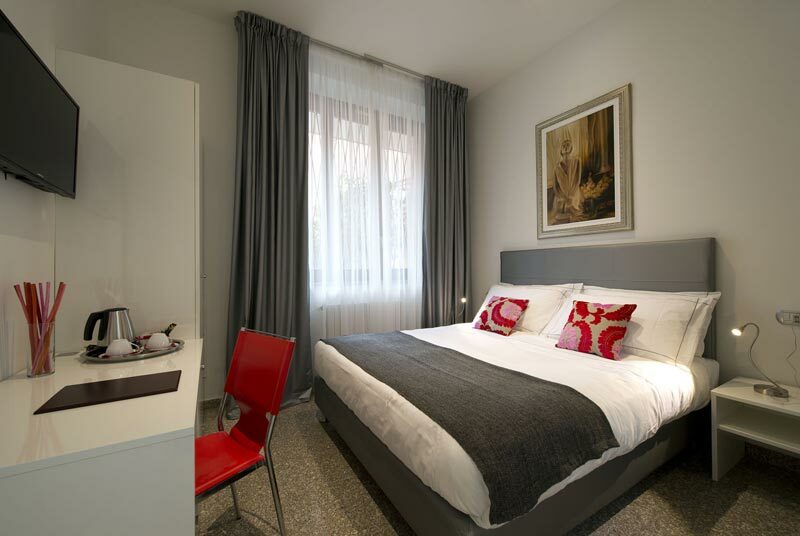 If you have a fantastic piece of artwork place it above the bed and draw the eye away from the rest of the room. If you aren’t too pleased with your bed but have an antique dresser that looks great, add a colorful vase to adorn the top. Use your imagination to accentuate the positive about your room and remove emphasis from the small nature of your bedroom. A small bedroom can be a challenge but it can also feel cozy and unique once you decorate it. Use these 10 tips to make your bedroom feel larger and to make the most of the space you do have. 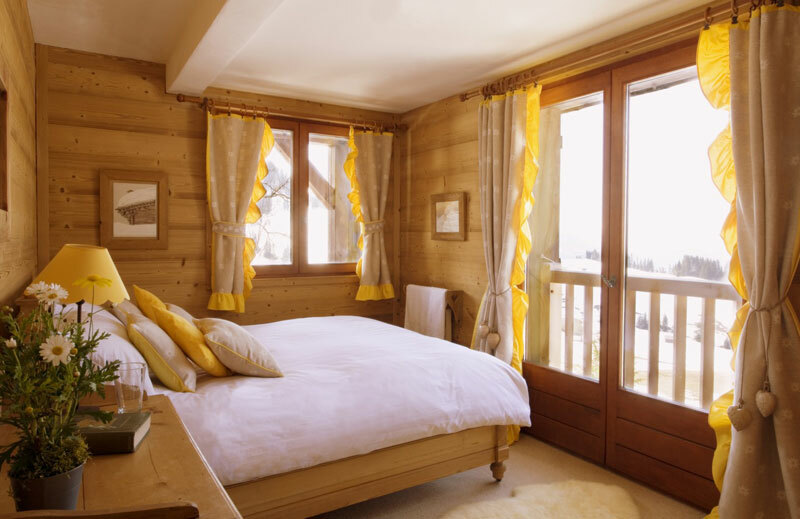 Incorporate these ideas in other bedrooms in your home and see how your rooms will instantly feel more lived in, as opposed to feeling cold and unlivable.